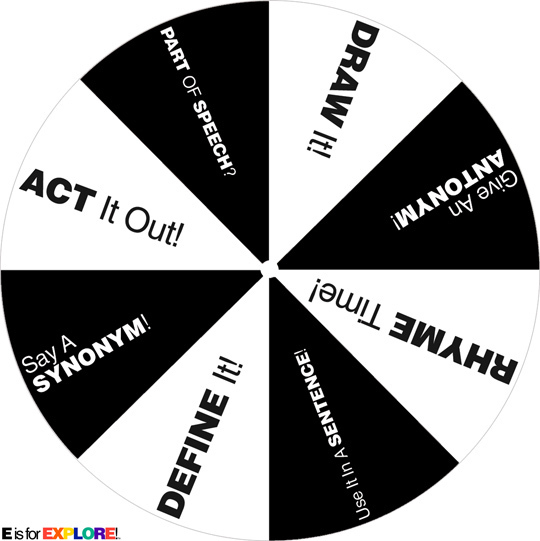 Get kids interacting and improving their language skills with this fun game! 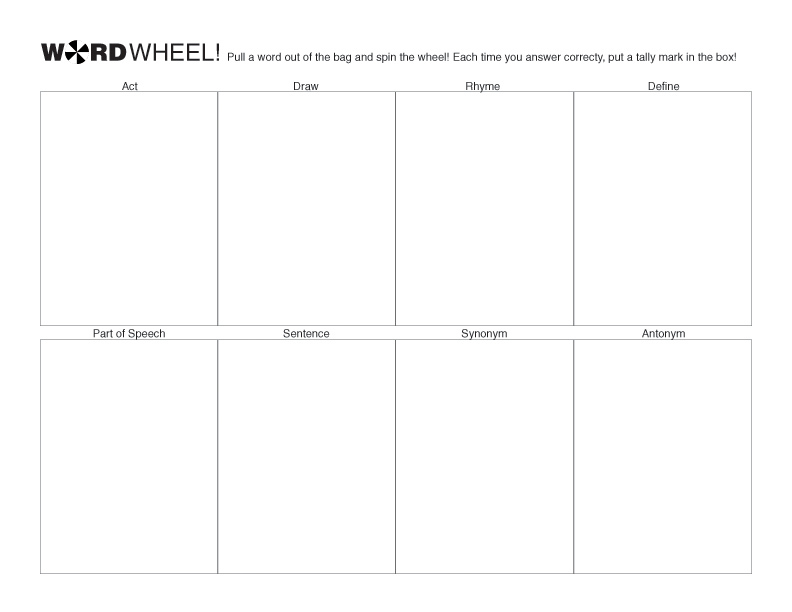 I liked the vocabulary spinner that I saw (here), so I made my own! For the activity, I tossed vocabulary words in a lunch bag. Kids flicked the game spinner, then pulled out a word. Once they had their word, the fun began! To make a spinner, you simply print design on card stock and laminate. Then, you add a paper clip, click here to find out how to insert it in your spinner. Could I get a copy of your spinner please? no more steps, feel free to use anything you would like! thanks for referencing the blog!